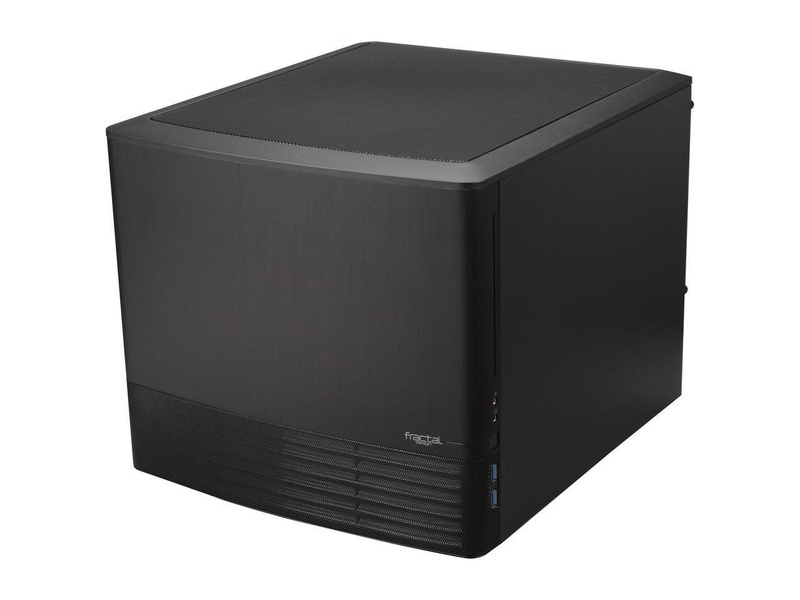 Fractal Design Node 804 Black Window Aluminum/Steel MATX Cube Computer Case - NWCA Inc. The Node 804 is a micro ATX chassis which focuses on cooling performance and maximum configurability, all packed in an interesting new form factor with Scandinavian elegant design. 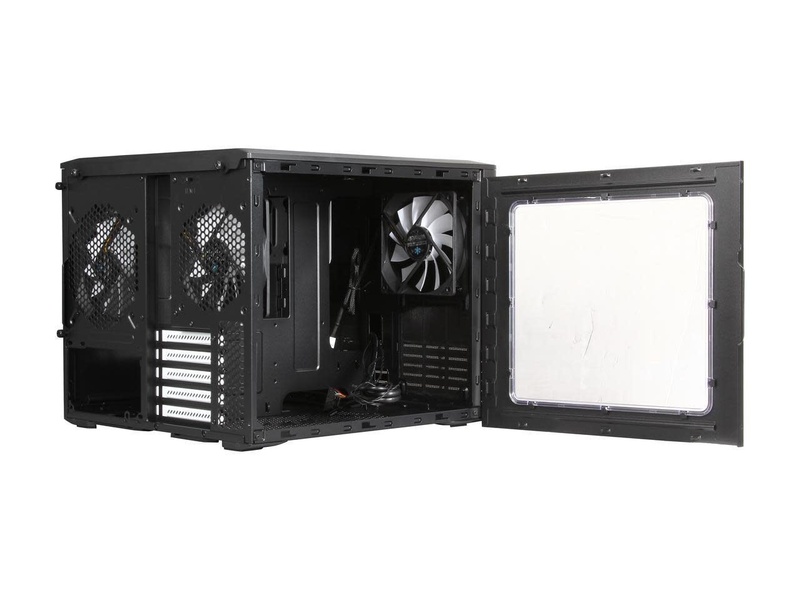 The dual chamber layout separates hot running components from the cooler ones and allows for unrestricted airflow over the motherboard, processor and graphics card. 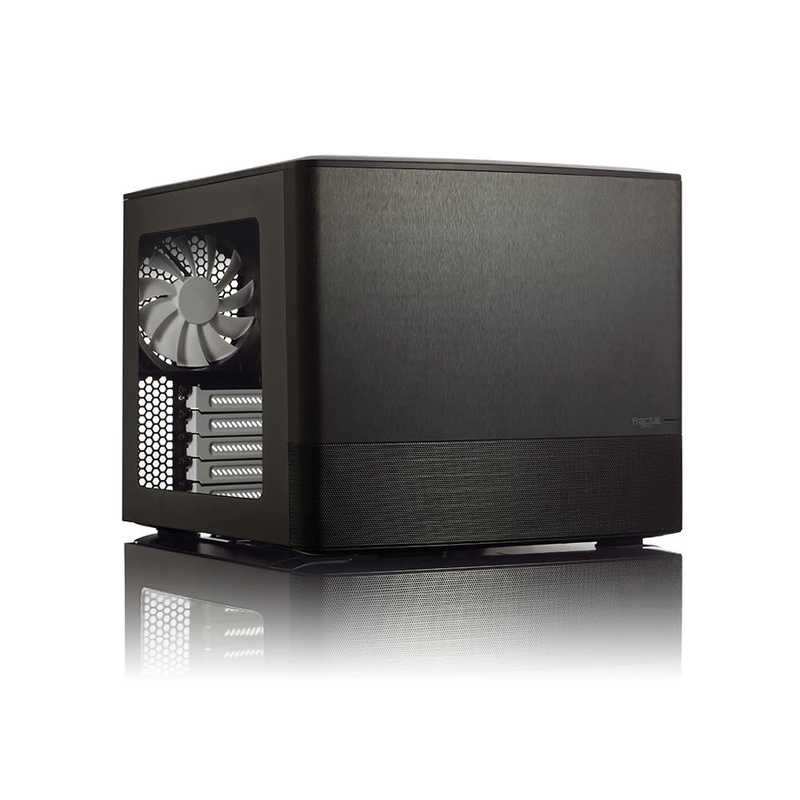 The case comes with three excellent 120mm fans but can be upgraded with several additional fans if needed. 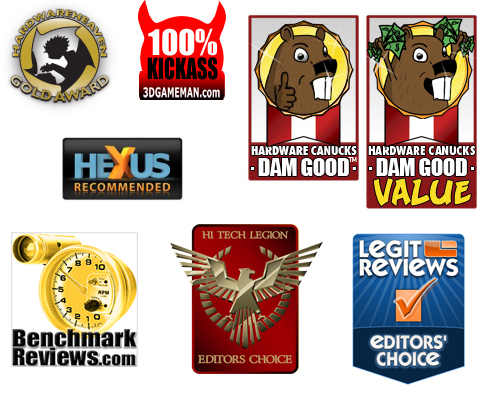 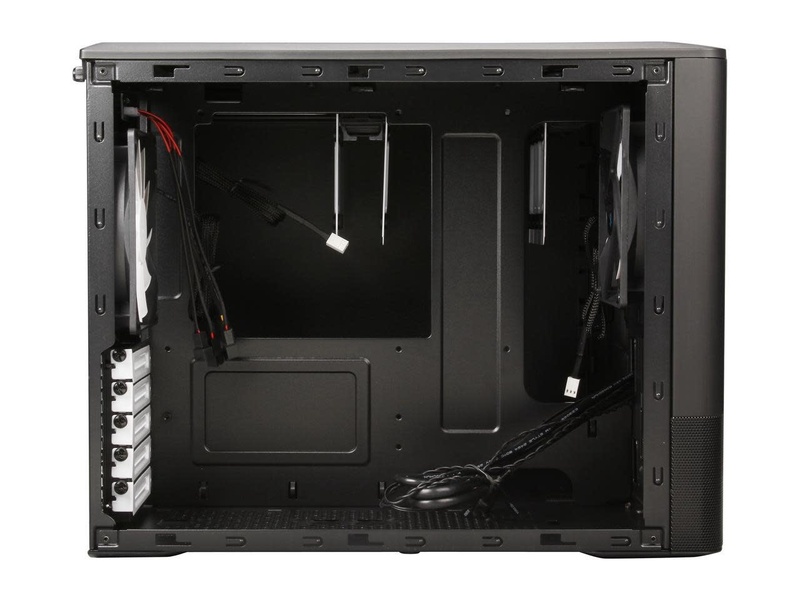 Featuring plenty of options for placing water cooling components, tall heat sinks and hard drives. 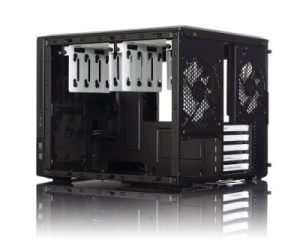 The flexibility of this case really gives the users the possibility to create their optimal system build. 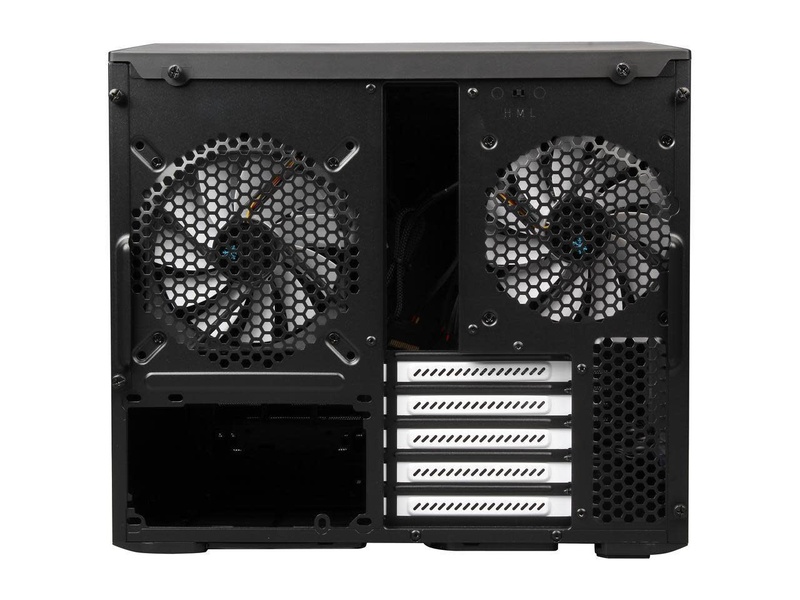 Three Fractal Design Silent Series R2 fans included with the case and space for an additional 7 fans. 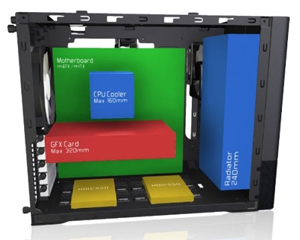 Additional space in the front to mount a slim optical bay drive and 2 x 2.5" drives.